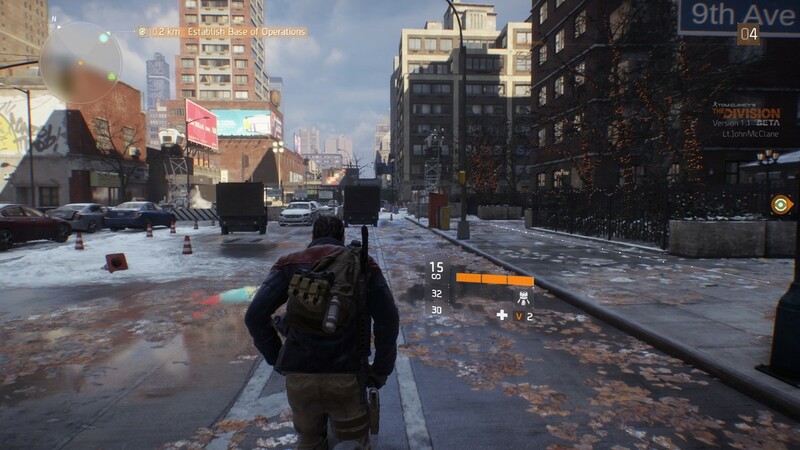 In The Division you can equip your agent will all kinds of gear, from holsters, to combat vests, boots, and backpacks. Each of these items will change the appearance of your agent, but it will also increase certain stats and attributes that can increase your agent’s health pool, the damage they do, and a whole host of other modifiers. The higher the quality and rarity of an item the more attributes it will contain. The rarest items will also have a wider selection of attributes, greatly increasing the power of your agent. Depending on what type of agent you’re trying to build, you’ll want to focus on collecting gear with certain attributes. Each piece of gear will come with certain amounts of the three primary attributes. Some gear modifications will also come with attributes on them. Stamina – Stamina will increase your health pool, a good pick for any agent but especially tanks. If you’re building a security based agent building up your stamina will ensure you’re able to last longer in those tough fights. Firearms – The more of the firearms attribute you have the more damage you’ll do with your weapons. As a damage dealer you’ll want gear with lots of Firearms stat. This attribute does not increase the damage of your abilities/ skills, just the damage your bullets do from regular gun attacks. Electronics – The electronics stat increases the power of your skills. If you’re a medic your heals will heal more, as a damage dealer your damage dealing skills will do more damage, and as a security specialist your abilities will last longer and have more durability. Basically it modifies your abilities making them more effective. These bonus stats are randomly rolled on a piece of gear when it drops, meaning you can have the same piece of gear with different attribute bonuses. Attribute bonuses are applied as a percent (usually 5% or 10%) bonus to your stats and other modifiers like damage resistance and ammo capacity. Armor – increases your total armor value. Scavenging – Increases the amount of ammo and items that downed NPCs will drop. Weapon Damage – A percentage increase on amount of damage your weapons do. Skill Power – Increases the amount of Skill Power you have as a flat percentage. Kill XP – Increases the amount of experience you gain from NPC kills. Health – Provides a bonus to your total health pool. Damage vs. Armor – Provides increased damage against enemy armored units. Optimal Range – Increases the optimal range of your weapons. Shock Damage Resistance – You will take less shock damage from enemies and abilities. Disruption Resistance – You are more resistant to disruption effects. Exotic Damage Resistance – Increased resistance to exotic damage from enemies. Deaf/ Blind Resistance – You are harder to blind and flash with flash bang grenades. Fire Resistance – You take less damage from fire based attacks. Damage Resistance – Decreases the amount of damage you take from all sources. Ammo Capacity – You are able to hold more ammunition for all of your weapons. Critical Hit Damage – Provides a bonus to the amount of damage your critical strikes do.